Now gathering in Songshan Lake are about 180 biotech enterprises specialized in medical equipment, pharmaceuticals, health products, stem cell and bio-enzyme. The Songshan Lake Biotech has been developed as a signature cluster. According to the plan, Dongguan will continue to introduce pharmaceutical factories and other quality major biotech enterprises. By 2025, the Songshan Lake biotech industry value will have reached RMB 200 billion. The biotech industry has been quietly advanced in Dongguan. By far, the industry cluster centered on Songshan Lake has gathered 180 biotech enterprises specialized in medical equipment, pharmaceuticals and health products. With the successive entry of domestically and internationally famous biotech companies like HEC Pharm, BrosMed, Redwood Finechem, a batch of proprietary products will be gradually launched to the market, filling the technical gaps of China and boosting the market demands. The biotech industry is considered a RMB 10 trillion business. Now that Songshan Lake Biotech has been developed as a signature cluster, Dongguan will further introduce special biotech policies and set up a guidance fund to help resolve capital, registration and approval related problems for the enterprises and give full play to its role as a “butler”. According to the plan, Dongguan will continue to introduce pharmaceutical factories and other quality major biotech enterprises. By 2025, the Songshan Lake biotech industry value will have reached RMB 200 billion. To form a new industry engine from an individual to an industry, preliminary imitations may require for survival, but that should not be the reason to stop proprietary innovation. In addition to government support, enterprises are required to go out and exchange with each other, and focus on research and development. Only an insightful vision and research and development strengths can bring the possibility to lead the market. Over the past three weeks, the series reports of IMDG.GOV.CN have reviewed the upgrade route map and development eco-system of manufacturing industry, and transformation of traditional manufacturing industry. The report this week will feature the strategic emerging industries of Dongguan. It only takes Uniten Biotechnology two years to incorporate in Songshan Lake, go national and win wide recognition in the industry and market. Such a development speed throws quite a number of biotech companies into the shade. What makes Uniten Biotechnology excels is its hit product-Full-auto GHb detecting system, a proprietary technology that breaks the monopoly of foreign corporations and fills in the gaps of domestic diabetes detection. In July 2014, Uniten Biotechnology was established in Dongguan-Taiwan Biotech Collaborative Incubation Center, Songshan Lake High-tech Zone. As the first enterprise registered in Songshan Lake, HEC Pharm has finally risen to be a pharmaceutical industry leader after years of silent cultivation. While producing generic drugs represented by Oseltamivir for flue treatment, HEC Pharm has strategically shifted its focus to the research and development of proprietary new drugs. There are 50 new drugs being developed, including Hepatitis B and C projects expected to be radical. Once launched to the market, they will certainly revolutionize the pharmaceutical market. Generic Drugs Sold at a Surging Speed and to Europe and U.S.
Generic drugs are undoubtedly the most important slice of cake of domestic pharmaceuticals manufacturers. Engaged in the research and development of generic drugs since 2005, HEC Pharm obtained GMP certification of China and EU and FDA certification of U.S. in 2006. Since then, HEC Pharm has set its eye on the international market. About 150 generic drug products are being developed and 12 products have been launched to the European and U.S. market. By 2018, 50 generic drugs are expected to be approved to be released to the European and U.S. market. Previously committed to the traditional processing industry, HEC Pharm determined to refocus on the big health industry centering on the pharmaceutical industry. “HEC Pharm hasn’t been in the pharmaceutical industry very long, but it develops at a high starting point and quickly catches up with its peers,” Zhang Yingjun, director of HEC Pharm Research Institute, said. He believes that HEC Pharm is an up-rising start in the bio-pharmaceuticals arena. What made HEC Pharm truly enter the public’s eyes was the H1N1 influenza which broke out in 2009. As one of the two Chinese pharmaceuticals manufacturers authorized to manufacture Tamifu? by Roche, HEC Pharm produced Tamifu? for millions of people a year, curing the patients suffering from H1N1 influenza and securing its leadership in the research and development and production of overseas generic drugs. Gaining brand awareness, HEC Pharm released its own Oseltamivir. As the enormous potentials of the bio-pharmaceuticals market start to release, HEC Pharm has strategically focused on the independent research and development of innovative drugs. “The research and development of new drugs require massive investments. Hundreds of millions of yuan are required for the development of a new drug. In comparison to medical devices, new drugs have a longer R&D cycle that usually last for 10 years or longer,” Zhang Yingjun, director of HEC Pharm Research Institute, said. He believes that innovative drugs will be the unstoppable trend of the Chinese pharmaceutical industry in the future. Last year, the construction of HEC Pharm Headquarters in Songshan Lake started. An investment over RMB 3.2 billion is planned for the construction of R&D Center, Sales Center and McAb Raw Materials and Preparations Factory. Aspiring to be a world-class and China’s number one new drug R&D center, HEC Pharm Headquarters strives to realize the sales revenue of RMB 3 billion in 5 years. HEC Pharm statistics reveal that HEC Pharm had a profit over RMB 1 billion in 2015 and expectedly had a profit around RMB 2 billion in 2016. For the experts, China has little difference from foreign countries chemically, but a huge gap to narrow biologically in bio-pharmaceuticals. Since the causes for many diseases are unclear, they must be identified from the most cutting-edge new biological targets for targeted treatment. Therefore, researches by biological technicians are needed. “However, it takes a long period of time for such fundamental researches in drug targets, and possibly two to three decades overseas,” Zhang Yingjun revealed. Most Chinese enterprises lack of such patience and tend to be profit-driven. Together with the deficiency of biological talents, the Chinese biological industry experiences a slow growth. The biotech industry is an important strategy for Dongguan to realize the upgrade of industrial structure. Gathering the resources, Dongguan set up the Cross-Straits Biotech Industry Cooperation Base initiated by Songshan Lake in 2012. Hopefully, Dongguan-Taiwan cooperation can be taken as a starting point to centralize the resources and develop the biotech industry in Dongguan. “After several years of cultivation, Dongguan has preliminarily formed an innovative biotech industry cluster in Songshan Lake.” Located in Songshan Lake Park, Dongguan City Biotech Industry Development Co., Ltd. (“Dongguan Biotech”) is responsible for the construction, investment attraction, investment and other forms of operation of the Base. According to Song Tao, Chairman of Dongguan Biotech and adviser to Dongguan Municipal People’s Government, Songshan Lake has gathered 180 biotech enterprises specialized in medical equipment, pharmaceuticals, health products, stem cell and bio-enzyme. The clustering strengths of medical equipment and pharmaceuticals are more evident. The headquarters or branches of a number of domestically and international famous bio-enterprises have been established in the Base, including HEC Pharm, Redwood Finechem, 3Sbio Inc., Lifotronic, BrosMed, Capital Genomics, Antmed, SPH-Sunnico, and Kaifa Bio-pharmaceuticals. Moreover, Dongguan has meticulously planned and launched the Guanrong Program. It’s a specialized investment attraction program primarily oriented towards quality biological projects from Taiwan and aiming to introduce Taiwan enterprises to Dongguan via capital, channels and other advantageous resources. By far, MiiS, GeneFerm, Abnova and other Taiwan bio-enterprises have established branches and started their market expansion in Dongguan. After the introduction of enterprises, Dongguan Biotech has unfolded incubations and investments, and help resolve the problems the biotech enterprises by specialized services and make them bigger and stronger. For this, Songshan Lake Industry Base has established a series of public service platforms, including biotech teaching and research organizations and registration application service system for the R&D, production, registration and circulation of enterprises to enhance its supporting ability. “We still hope that the capital problem can be resolved by the government. Once the capital problem is resolved, the talent problem will be readily solved,” Lai Hua, said. 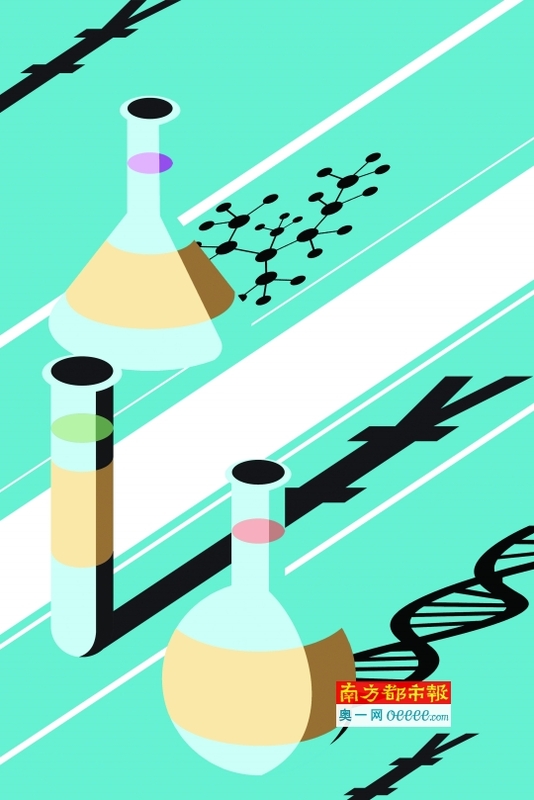 The introduction of more quality biotech enterprises is in need of special biotech policies. According to Song Tao, the relevant special policies are under approval. Such special policies will not only resolve industry capital problems, but also represent favorable policies for the enterprises. For instance, an enterprise successfully obtaining approval for a drug will be given an approval reward to compensate for the approval application fees amounting to hundreds of thousands of yuan for each drug; in terms of administrative approval, municipal, provincial and state green channels will be established to reduce the long waiting time of applicants. Furthermore, Songshan Lake will further improve its supporting services, and at least build a large business complex.